Rolman World has invested significantly in the ability to help our customers develop their maintenance team’s capabilities. 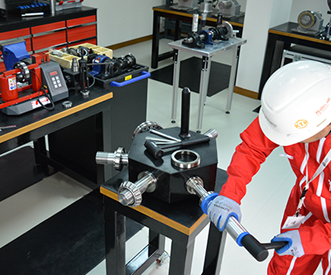 We provide training services – either at our Headquarters facility in Jebel Ali, or at the customer’s site – for the handling of bearings and other high value spare parts, and for solutions to achieve longer life for components. Our staff can train up to 60 engineers at one time, and we invite our suppliers to share their experience related to industries and maintenance solutions.